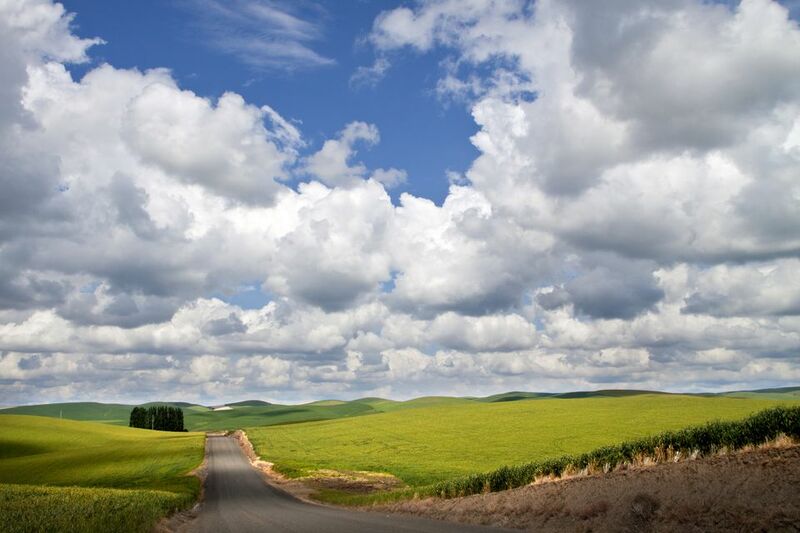 Located among the rolling hills and fertile fields of Southeast Washington, Walla Walla is known for its sweet onions and its quality wines. Vineyards and tasting rooms are scattered throughout the valley. Walla Walla is home to two attractions that illuminate the history of Western settlement and development, the Whitman Mission National Historic Site and Fort Walla Walla Museum. Outdoor lovers will find opportunities for hiking, biking, birding, and golf. Walla Walla hosts several fun events during the year, including the Balloon Stampede in May and the Sweet Onion Festival in July. Walla Walla is home to over 100 wineries and dozens of vineyards. The Walla Walla Valley American Viticultural Area is blessed with ideal growing conditions, including a hot dry summer climate and uniquely fertile soils, the legacy of a series of Ice Age floods. While Cabernet Sauvignon, Merlot, and Syrah are predominant in the region, you'll find a few white varietals. One nice option for Walla Walla wine touring is that you'll find many tasting rooms within the walkable downtown core. If you do choose to explore the wineries and tasting rooms scattered across the countryside, several options are available for guided and personal tours that include transportation. Maps for both the downtown and country wineries and vineyards can be picked up at hotels, tasting rooms, and shops around town. Most Northwesterners grew up on stories of the Whitman Mission and the Whitman Massacre. Established on a creek near the Walla Walla River in 1836, The Whitman Mission was one of the first white settlements in the Oregon Territory and was an important stop along the Oregon Trail. At the Whitman Mission National Historic Site, you can visit what remains of that early community and learn about the role it played in regional history. You'll want to start your visit at the museum, where exhibits and film provide an overview of Marcus and Narcissa Whitman, the local Cayuse people, and the complicated relationship that led to the Whitman Massacre in 1847. As you proceed to the outdoor walking tour, you can view a portion of the actual Oregon Trail, marked foundations of significant Mission buildings, and the Great Grave. A hike up a hill takes you to the Monument, a massive marble obelisk. Located on the grounds of Fort Walla Walla Park, the expansive Fort Walla Walla Museum covers the pioneer era, military history, and horse-era agriculture. There was more than one actual Fort Walla Walla. Over the years, the fort occupied different sites and had different purposes. It began as a fur trading post at a site along the Columbia River. Fort Walla Walla became a military facility in 1858, continuing in that role until 1910. The Fort Walla Walla Museum covers all of these areas with exhibits packed full of fascinating artifacts spread among several buildings. The horse-drawn farm equipment is one highlight. Think you can imagine a 33-mule team combine? You'll have the chance to see the real thing, pulled by ranks of life-sized mule mannequins. Other highlights include a Lewis and Clark diorama, a 17-building pioneer village, and exhibits covering the local state prison. In addition to the Fort Walla Walla Museum, this huge city park offers a variety of attractions and activities. Enjoy summer music theatre and Shakespeare Walla Walla performances in a 1,500-seat outdoor amphitheater. Served Fort Walla Walla during its military era. This monument to local soldiers who gave their lives in the Vietnam War is the site of local Memorial Day ceremonies. In case wine, history, and outdoor fun aren't enough to get you to Walla Walla, the city hosts a variety of special events and festivals throughout the year.